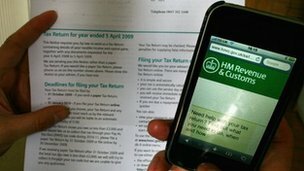 About 730,000 taxpayers have missed the deadline for filing their self-assessment tax returns, HM Revenue & Customs (HMRC) said. That was fewer than the 850,000 people who missed the same deadline a year ago. Those who missed this year’s cut-off point, accidentally or deliberately, will now have to pay a fine of £100. About 9.6 million filed on time this year, by midnight on Thursday, out of a total of 10.3 million in the system. HMRC said that Thursday had, as usual, been the busiest day for people rushing to meet the deadline for online submission of their tax returns. It was also the deadline for people, typically the self-employed, to pay any money they owed to HMRC.